Victor Lee 4-Inch Throwing Star Rainbow Titanium | BUDK.com - Knives & Swords At The Lowest Prices! This exclusive Victor Lee design brings you a 4" triple blade throwing star. 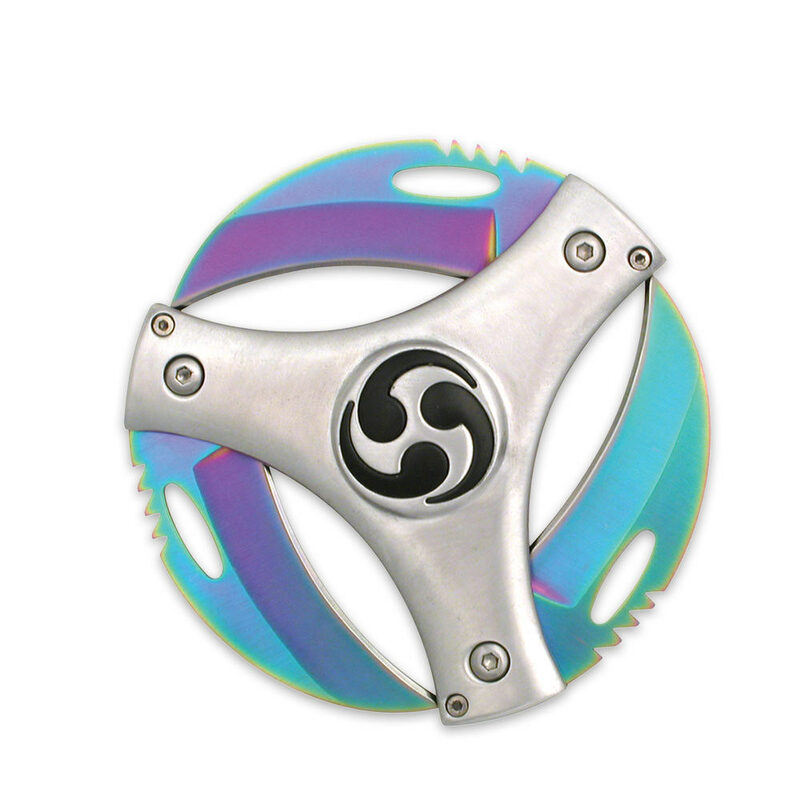 Each of the 2-1/4" stainless steel blades features an anodized rainbow titanium finish. The handle features lightweight aluminum construction. FIRST~! My friend loves it! Already skilled at hurling it across the room... Nicely weighted and sharp, clean cut on my finger. BE CAREFUL! !